During the past few years, there has been an enormous amount of conversation about needing more help in law enforcement for San Clemente. The social media sites identifying issues have attracted a lot of attention and gained many subscribers. For those who are looking for solutions and want something done, here’s a chance to actually get involved beyond screen time. You’ve heard it during our last local election, at city council meetings, during the Matrix Survey and voiced at numerous Coffee with a Cop gatherings: San Clemente needs more eyes and ears on the street. This is your chance to get involved, by joining Retired Senior Volunteer Program (RSVP). RSVP could use some new, active participants. The RSVP is a group that has been acknowledged by many as the best in class. The men and women members of the RSVP are very active. The organization was founded 34 years ago and still consists of dedicated and well-trained members who have committed to making our village a better place by assisting the San Clemente Police Services and the Orange County Sheriff’s Department through assigned duties. To join, it does take commitment; members must be willing to serve on a regular basis. The expectation is, after training, to take on three or four formally assigned, scheduled duties each month. To start, the process includes submitting a written application, sitting through an interview and undergoing training prior to being sworn in under oath to support and defend the Constitution of the United States, the Constitution of the State of California, and uphold the laws that help make San Clemente safe. Interestingly, none of the members has prior law enforcement experience. No one who enters RSVP has said he or she wants to be a cop. The program’s members are parents, grandparents, and some are great-grandparents; most importantly, they are San Clemente residents who actively pledge to make San Clemente a better place by performing their assigned duties. 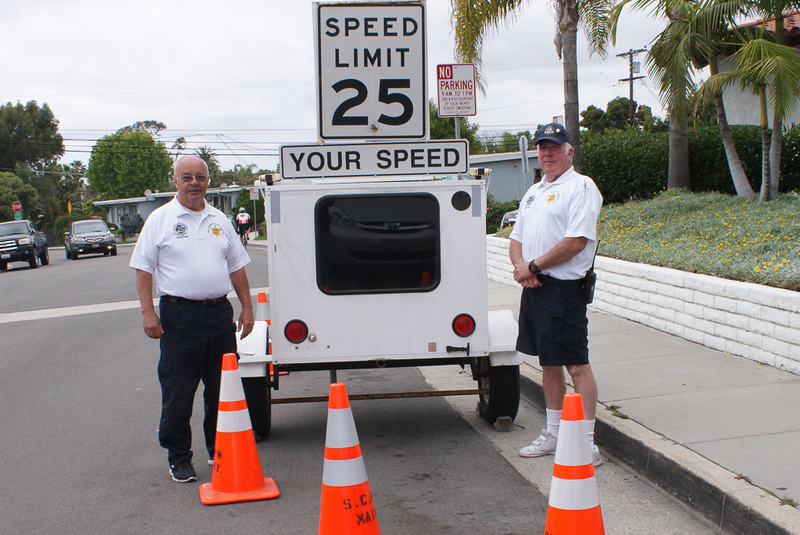 That might include parking enforcement around Avenida Del Mar or patrolling throughout the city to make certain that the disabled parking spaces are used only by those who have proper placards or plates. Another high-visibility duty is working as city ambassadors on beach patrol at the PACT (Police and Community Together) House, assisting with information and directions at the base of the pier while keeping a watchful eye out to remind about smoking, alcohol, dog-off-leash or bike-riding rules. A heartfelt program is YANA (You Are Not Alone): RSVP members visit with homebound seniors who have no family nearby. Visitors to the San Clemente Police Services substation might interact with an RSVP member at the front desk who is performing administrative tasks. Additionally, RSVP members are asked to volunteer for special events, performing crowd and traffic control duties at Ocean Festival, Fiesta Days, the Classic Car Show, Friends of San Clemente Carnival and Puttin’ on the Glitz, giving OCSD deputies more flexibility to work on serious offenses. To learn more, view the Around Town video about the RSVP on the city of San Clemente YouTube page. It’s time to seriously consider joining—supporting something that we all say we want. 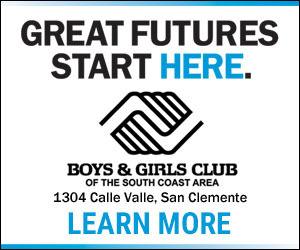 To learn more about how you can make a difference as a member of RSVP, contact Lou Gizzi at 949.361.9717, the city’s RSVP volunteer administrator at 949.361.8353 or online at hr@san-clemente.org. Lou Leto devotes many volunteer hours to support organizations and events in San Clemente and is a member of RSVP. City Council recognized his efforts and placed his name on the San Clemente Wall of Recognition in 2018.